The BMW Z8 is extraordinary in design, driving experience, and gorgeous styling. 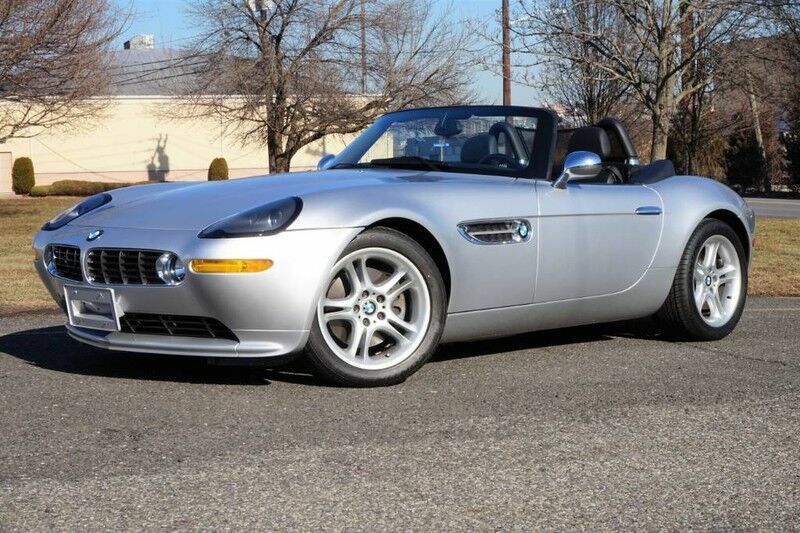 This 2002 BMW Z8 is indicative of these incredible attributes, having been enthusiast-owned and garage-kept. Traveling a mere 17,635 miles since new, this Z8 presents handsomely. The svelte bodywork is timeless and a nod to the legendary 507 Roadster that inspired the Z8 design. Having been garage-kept, this Z8's Titanium Silver Metallic paint is striking and indicative of proper care. For those who prefer the 'top up'styling, this Z8 includes the original hardtop, protective cover, and storage stand. Browsing through the photos, one will notice the attention this Z8 has received. Among the many included items, such as the window sticker and both keys, is a copy of the newspaper advertisement circa 2002, tracing back this Z8's lineage. At the push of the ignition button, the mighty S62 V8 roars to life, offering performance-minded drivers nearly 400hp and a 6-speed manual gearbox. both engine and gearbox and smooth and tight; a balance of performance and refinement. Entering into the interior of this Z8 and you'll note the supple Nappa leathers, complemented by color-matching trimmings and appliques. Designed with comfort and enjoyment in mind, the heated seats are supportive, while still providing touring-level comfort. The Harmon-Kardon audio system is crisp and the air conditioning ice cold. Even present is the original BMW mobile phone, a wonderfully period-correct feature that was often removed. Included with this Z8 is the matching hardtop and important items, including the original window sticker, both keys, owner's manuals, and more. Don't hesitate and call today before it's too late!